Raising the bar, and setting the standards. Grabbing the reigns of the DJ software market and riding off into the sunset. 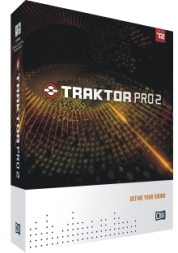 Traktor Pro 2 is the latest in the line of award winning products from German software gurus Native Instruments. NI have been involved with the complexities of DJ technology since its inception back in 2000, and besides consistently delivering the best package out there, they have always listened attentively to the voices of its huge fan base. 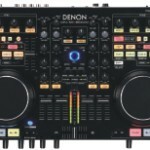 The Pro 2 package is going to be a big step up for those on the original Traktor and it’s going to be a somewhat familiar one to those already running the Kontrol S4, as Pro 2 draws a lot of its new improvements and architecture from the S4’s software. So, those guys lucky enough to be working on that particular beast are not only upgraded to Pro 2 gratis, but they also should be familiar with a couple of the Pro 2 features but certainly not all of them. The first thing Native Instruments examined when they developed Pro 2 was the user, which is arguably the best place to go when you’ve won consecutive awards for a piece of software that everybody loves. So NI have enhanced the entire user interface by improving how we interact with the screens. The previously bland waveforms are now lit by TruWave which allows you to differentiate between the kicks, snares, and hi-hats by the brightness or tone of the waveform, and all the zoom functions have been augmented to allow for tighter cue markers and beat grids. This translates into concise beat grids that are easier to read and predict, hence tighter mixes even if you mix with the sync button locked on. The track overview window now also accommodates the entire track and there are some new layout choices too, so it’s easier to see whats going on when you (inevitably) attach some controllers. One of the best exports from the S4’s software setup is the sample and looping sections. Any of the four channels in Pro 2 can be turned into a sample deck and it’s the same four slot sampler taken directly from the S4’s software but in the Pro 2 version you are given individual filter and volume control for each of these channels. All loops can be set to trigger as one shot or locked loops and if you don’t have any content to start off with, a bunch of material is included from Loopmasters, as well as some scratchy stuff from DJ Craze. What really sets the sampling and looping area apart is when the four slot loop section is combined with the Loop recorder to allow you to record any incoming or playing audio and create a locked loop out of it. So any audio or loop can be overdubbed and overdubbed again till you are happy with it, then tweaked some more, and then saved to your library to retrieve for the next set. It is this type of thinking when applied across all of the functions in Pro 2 that indicates a movement towards a DJ program which allows you to do more than just play two songs; you can now create layers upon layers and start to introduce live remixing and production into the equation. 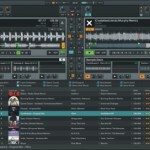 One of the best features of the original Traktor software was the rich and diverse selection of effects on tap. These are further enhanced with the addition of Tape Delay, Ramp Delay, Bouncer, and Auto Bouncer bringing the grand total of effects to 32! If you want to hear how the new effects sound you can check out the new videos on the NI website. Another new brainwave was to include an effects send and return channel for hooking up external effects units, and when paired with its new recommended sound card the Audio 10, you already have the extra stereo channel to handle that. The guys at Native Instruments have also added lots of support for the connection of (in my opinion) mandatory external controllers because if you haven’t hooked one up yet you might as well be playing with only one deck. For example plug in a Kontrol X1 and you can now export a loop and the control of it directly to the X1 and use it like a 5th deck to open up that channel for more audio or loops. For heftier kit like NI’s Maschine, Pro 2 can now send triggers to lock Maschine to the timing you’ve set up in Traktor. And as always our friend the Set-Up Wizard is there to help you through tweaking the system from one set-up to another and new Auto Detection makes routing the connections a much easier prospect. The final additions to Pro 2 come in the form of more prominent use of album artwork to provide a better way to remember your record collection when browsing through, and the internal mixer has been beefed up so those running software only have a 3 band EQ and filter per channel, as well as fader curve adjustments. 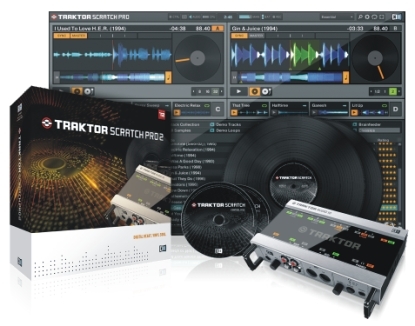 Well with all the different versions of Traktor 2 now out, including Duo 2, Scratch Duo 2, Pro 2 or Scratch Pro 2 anyone using Timecode or a computer to mix at any level would be hard pressed to find any other piece of DJ’ing software that even touches any of the versions of Traktor 2 out there. 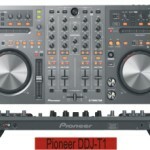 Even starting your computer DJ’ing experience on Duo 2 is a great route to follow bearing in mind that NI will allow you an upgrade path to the Pro 2 system for a small fee once you feel you are ready to step up. Registered users of Traktor will be able to upgrade to Pro 2 via the Native Instruments Upgrade centre for a price that definitely beats purchasing a whole new system. 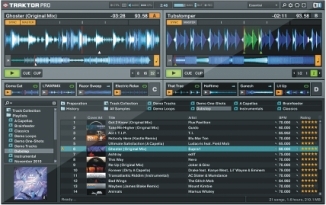 Traktor Pro 2 is an amazing and powerful piece of software that is going to stay at the top of the pyramid amid a horde of similar DJ products for a very long time to come. In my opinion there is no competitor to the Pro 2 system and the long list of features and extended functionality on the new version lend credence to my humble views. As with any new software release there are going to be some teething issues, especially with the host of configurations out there, but Native Instruments are sure to post some updates in the next couple of weeks which will put a stop to all the internet chatter regarding some small bugs. Bugs aside you can’t go wrong with the Traktor Pro 2 system; anything else is going to be a huge step backwards. The new audio engine is spectacular and any users who thought that their beat maps were tight in Pro are going to be astounded when they remap their libraries and then listen to the way new mixes hold and sound in Pro 2. My favorite part has to be the way loops and samples can be combined, recorded and then saved. This really allows you creative control of tracks and loops to manufacture a much more personal set of loops and give you that individual sound and character that so many DJ’s strive for. The effects section is magnificent and the introduction of TruWave really does improve your ability to manage your mix and timing thereof with a quick glance at the display. I don’t think I can place enough emphasis on how good a system Pro 2 is. 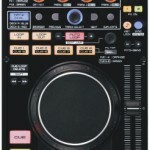 It is as indispensable a tool for software DJ’s as a ball is to a football match. Anything else would just be playing with yourself. Death to Traktor Pro and long live Traktor Pro 2.